It's like drinking water. Simple as that. I switch to this in winter as it feels more protective on my skin in the cold temps. Leaves my skin feeling smooth and hydrated. I really do love this cream! The texture is perfect and as a bonus it smells lovely too! A real must have and I fully recommend it! A very good moisturising cream that hydrates and leaves a feeling of firmness, almost a tightening effect to the skin. So glad to hear the product has worked for you, Jovanka! Thank you for leaving a review. 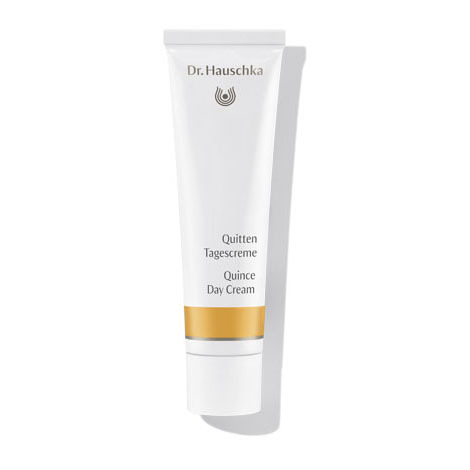 Best wishes, Meg @ Dr. Hauschka UK. A real find. I use it each day for 9 months of the year. Lovely day face cream. Makes skin soft and glowing. Also is not very strong scent which for me is a bonus as I get headaches from strong smells. Beautiful texture and smell. My skin just soaks it up without any problems. I just love the Quince day cream its great for my skin. Good cream,you can see the difference in few days! I’m outdoors a lot and this cream seemed to keep my skin protected from the harshness of the elements but it did feel greasy.